On the signs approaching the bypass from the east, route markers indicating that the TCH follows the bypass have been covered in greenout, with temporary signs that the bypass is just for local traffic to Arcola Ave. (SK 33). Also, signage on westbound Arcola approaching the Ring Rd. says that the TCH still follows the Ring Rd. both north and south of that interchange. This clarifies that the TCH hasn't been rerouted, at least not until the next phase of the bypass is completed. Oh so they're building an entirely new Ring Road rather than just tying into the existing one on the south side of town. Okay. I guess they want to leave room for future development inside the new ring but at this point this seems like a weird decision since this adds 5 km or so over the existing route, about the same to a bypass tying directly into the existing Ring Rd near SK 6. 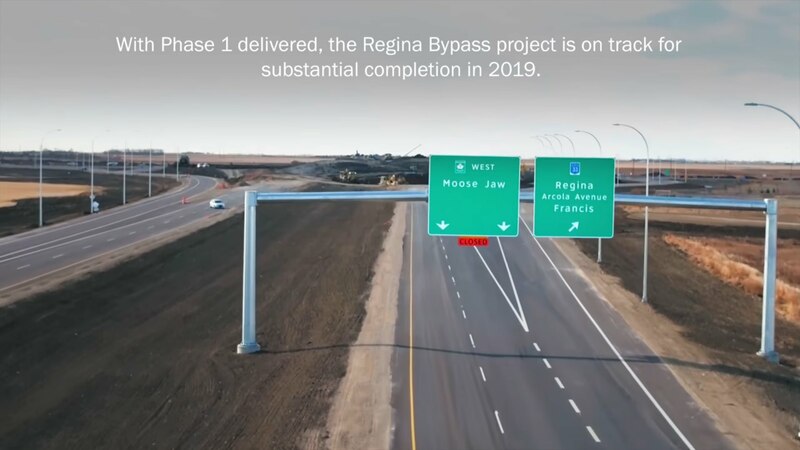 Since all you're really bypassing that isn't already a freeway is a 5 km section of divided highway with a few signalized intersections... the time savings of using the bypass will be marginal at best outside of busy hours. I drove through there heading westbound last week and can confirm that the new mainline where it diverges from the old is still signed as "To Arcola Av" with the TCH 1 shield greened out. Thanks for posting this! As a CFL fan, I enjoyed seeing the side trip to new Mosaic, home of #RiderNation (BTW, nice win over the defending Grey Cup champs on Friday). Regina looks like a beautiful city, hope to visit there someday. It's been a busy week in Calgary as politicians come to Stampede bearing gifts, is an election on the horizion?